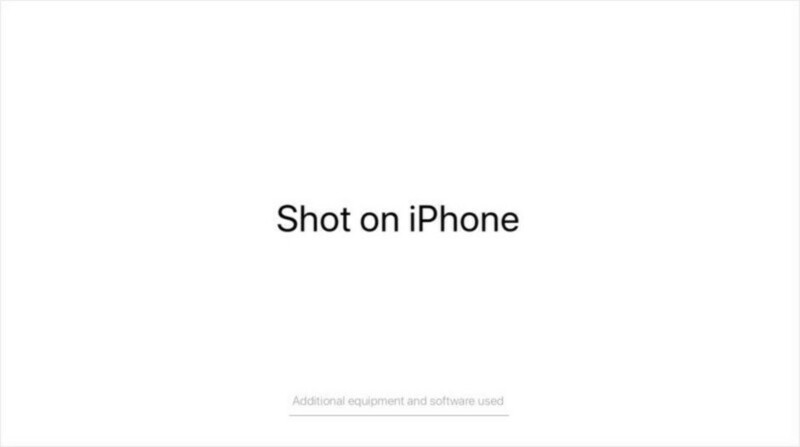 Apple's latest "Shot on iPhone" video is a crazy showcase of what can be done by strapping three dozen iPhone XRs on a rotating rig and shooting cool stuff with them from different angles. It's also a nice reminder that none of what we see in ads like this matters even in the slightest, as far as the end user is concerned. The video itself is a short, visually impressive, and well-edited showcase of a bunch of creative ideas. It's cool to watch and it really was shot using only an iPhone XR — or 32 of them, rather — but there's no cheating in terms of what camera(s) Apple used to capture these moving images. If this happened five years ago, the quality of the video would have been impressive in itself for a smartphone camera, but now you can pretty much substitute all those iPhone XRs for 32 of almost any other phone on the market, and you'd get similarly good results. Companies trying to make it seem far easier to shoot amazing footage with a smartphone than it is in reality, is nothing new. There has been no shortage of attempts to even pass photos from a professional camera as taken with a smartphone. But people quickly caught on, so said companies (mostly) stopped doing this and started taking impressive stills and videos with their real products instead. Of course, not without the help of "additional equipment and software", as popularized by a fine print in many of Apple's "Shot on iPhone" videos. This latest iPhone XR camera showcase is just a bit more extreme than usual. Instead of showing what can be done with the phone in more realistic, easier to recreate scenarios (as has been done in the past), this one goes all out with bubbles full of smoke and a big ball of steel wool that gets set on fire. This makes it way more about the cool experiments, instead of what can be done with the iPhone. The behind-the-scenes video further confirms this by being twice as long as the ad and being almost entirely concerned with the activities themselves. It's actually a refreshing reminder that behind all the flashy imagery of these ads, there's just a bunch of people having fun with more expensive, scaled-up versions of science experiments for kids. Will not even watch it......crap! That video does not make a scene. If that meant to be a showcase than it failed badly because it didn't stretch a muscle to do something wonderful. Yes, chemistry is wonderful thing and especially glowing lights BUT! That is sad actually. Plus more than $200k for labor cost. i see this as blatant false advertising. apple should be punished for lying like this. Stop being so sensational. The footage is shot on an iPhone and there's a disclaimer that says other equipment was involved. So, tell me...what exactly did they lie about? well saying that the footage shown was filmed with an iphone, when it really was not. since when did the iphone have video bokeh? Did you even read the article or watch the second video? It was shot on 32 iPhone XRs. Why's that so hard for you to understand? You're wrong. Well maybe you should check this video from the directorhttps://youtu.be/7lYFWtSIPiM ;) Are you clever enought to understand how they did it? its the same as saying you can get this item for free then at the bottom of the ad it says its 200$. its just apple trying to trick people who are too lazy to read the disclaimer. it would be impressive if they used 1 iphone and just that, anyone can make a video like this with any other phone if they are using 20 grand worth of additional hardware and software. What's your point? It still doesn't make it false advertising. Stop showing your bias. um yeah it still does. this is apple trying to make uninformed people see that ad and go " oh i can make videos like that on my phone?" then they go out a buy it but then realize it cant come anywhere close to what they ADVERTISED. i would call that false advertising. Good luck with your lawsuit against them then. I'm sure it will turn out great. when did i say i was going to sue? and just to prove a point, i showed my father(60) the ad, and the first thing he said was "wow, i diddnt know the iphone xr could take such amazing videos" after that i showed him how it was made. he said it was incredibly misleading. and my dad is not a super tech informed individual. You're not very good with jokes, are you? im talking about naive uninformed people who dont know anything about current tech advertising methods. again so what? No-one going to buy this phone thinking they could do the same. You can't get through to this guy. He's as dense as a rare-earth metal. 2001: A Space Odyssey did it first.